Throughout the book, illustrated by examples from technology to manufacturing, large and small, public and private, Sanford demonstrates how to make responsibility integral to all aspects of a business as an engine for innovation, profitability, and purpose. This way of engaging organizations uses the real potential that capitalism offers- entrepreneurial spirit, individual determination, and creativity that happens every day and everywhere, not just in one function. The Responsible Business: Reimagining Sustainability and Success (published by Jossey-Bass) has won numerous awards including Best General Book by the International Book Awards, Top Fifteen Business Books by CNBC, CNBC’s Bullish on Books, and was in the Top Five General Business Books by 800CEOREAD, the largest distributor of business books in the world, and it was shortlisted for Best Business Book of the Year, out of 11,000 business books. Her book is required reading at Harvard Business School, Stanford Engineering and Management Science, and MIT Sloan, among others. “In a serendipitous twist of events, I discovered and read The Responsible Business last year. To say that it rocked my world is an understatement. Who else these days treats organizations and their stakeholders with such deep caring, wholesome sophistication and such brilliant elegance?? 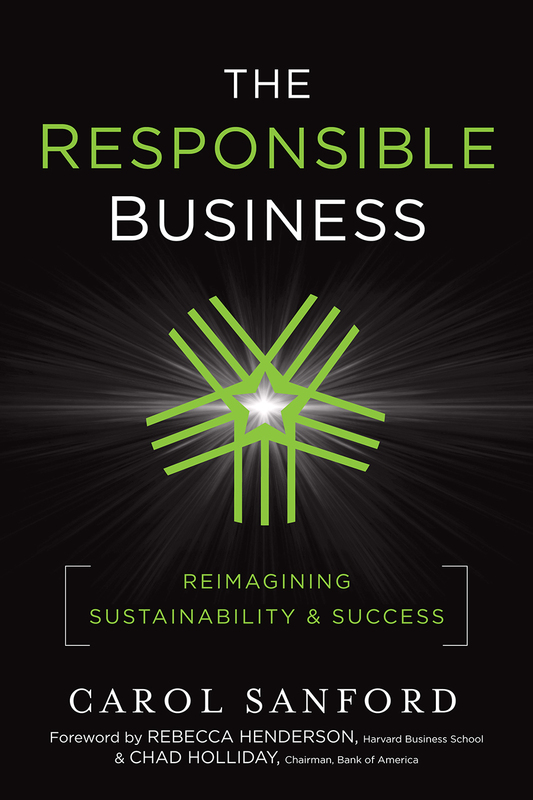 I read a lot of business & organization development books, and I went through the Pepperdine MSOD program, yet I’m convinced that “The Responsible Business” is by far the most important book written on the subject in decades. (I recently posted my review on Amazon.) I’m glad that now when someone asks me to recommend a few management/OD books, I can wholeheartedly say — just read The Responsible Business. “Through Seventh Generation’s work with Carol Sanford we learned the value of systems thinking and how these frameworks made us a more effective business and me a better values-based leader. Carol’s approach also makes it possible for people in our company to be more conscious and work from a commitment to a higher set of values. “The Responsible Business challenges popular management wisdom as abstract and fragmented even if well intentioned. 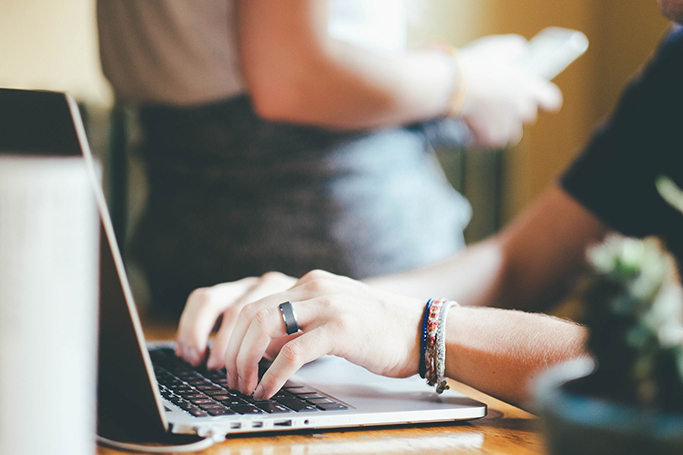 Carol Sanford offers us a proven, practical, and systems based approach that integrates five stakeholder groups into a business system working as an integral whole. Essential reading for leaders wanting a system framework for Sustainability and Business Success! – Michiel Bakker, Director, Global Food Services, Google, Inc.
“The powerful concepts in The Responsible Business have changed the process of sustainable development and how communities truly thrive. Indeed, these proven approaches will be the roadmap to truly achieve the deepest level of living communities. – Brad Reddersen, President, SIRA Technologies, Inc. The road to corporate responsibility today demands a new level of courage: to recognize that a fundamental change is in the offing, and to act accordingly. Carol Sanford shows us how to put two simple yet essential truths into practice: that we are all part of a single interconnected world, where each part genuinely matters; and that people will take complete responsibility to transform their situation when challenged to look for and create the unexpected right where they are. Beyond Corporate Responsibility shows us how to tap into the hidden potential for practical innovation, and reinforces what every good business leader already knows — that a living spirit of commitment, once activated, renews everything. Read this book to discover its practical secrets.